Pandora Jones believes that the world outside ‘The School’ hasn’t really ended, but she’s got no proof. The only way to find out for sure is to escape. Alone, it’s not possible, but with volatile, risk-loving Jen, ‘impossible’ is a minor hurdle to be jumped. 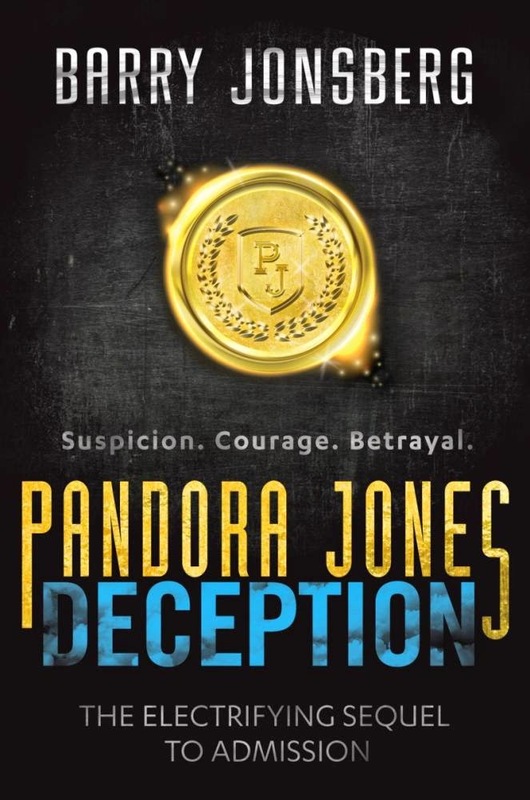 Deception is faster paced than book 1 (Admission) and more intriguing. Any leftover questions from book 1 are answered, but they, in turn, are replaced by endless additional questions. With death defying plans that work —sort of—and realistic scenarios that had my blood pumping, Deception really is an electrifying sequel. Nothing prepared me for the final twist. Then I couldn’t wait for the final book to put me out of my not-knowing misery. Go on. You know you want to know what happens next.